Choose items below. Order will be confirmed and an invoice sent with total due and payment options. NOTE: Order will NOT be processed until payment is made. 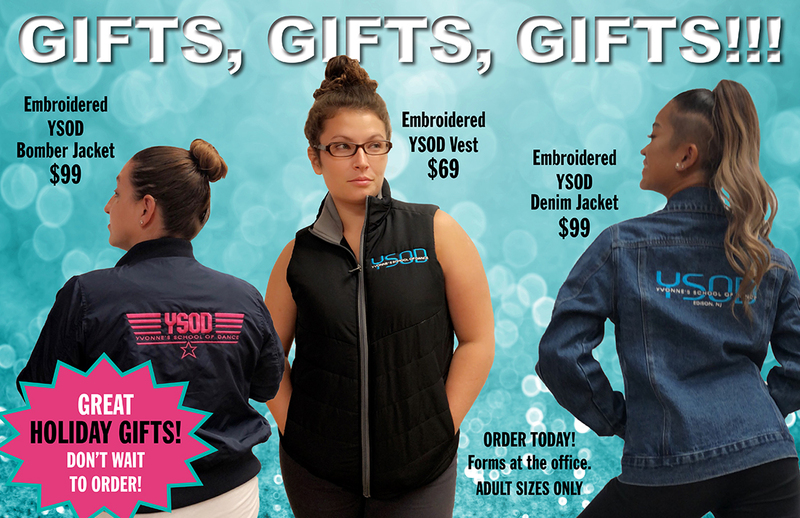 YSOD Fan Wear (Adult) - Refer to LETTER to order. Choose size. YSOD Fan Wear - Youth Shirts - Choose youth size to order. YSOD Jackets (Adult) - Choose size to order. Submit your request for items below. If you need more then one of the same size item, please list in note section above. PLEASE NOTE: YSOD will invoice your order with a total for your review and options of secure payment. Your order will not be processed until payment is made. You do not need to be a current customer of YSOD to order Dance Fan Wear.